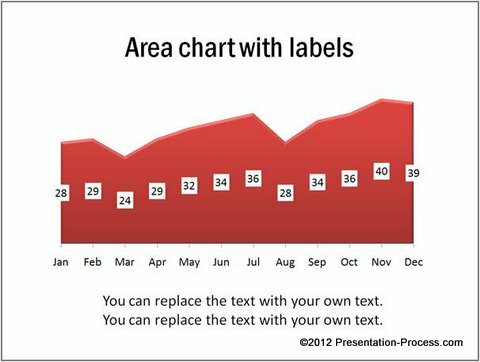 Here are some useful ideas for combination Data-Driven charts in PowerPoint. 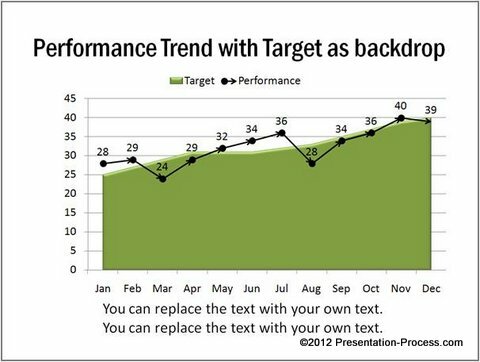 Discover ways to add more insights to your charts and make your message memorable. As the name suggests, these are created by combining two or more chart types in a single graph. They help your audience get more information from your charts and make your message more memorable. In this article, we will see some examples of such charts and their application in business presentations. 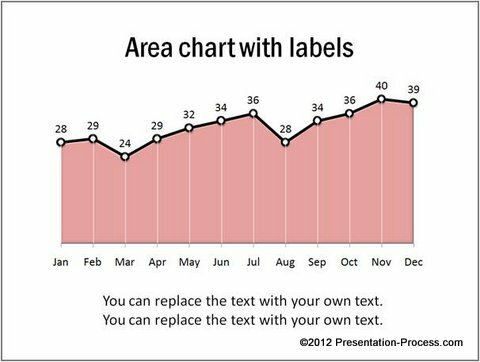 All the data driven chart templates you see in this article are taken from our ‘Visual PowerPoint Graphs Pack’. The pack has more than 320 business relevant graph templates that are super easy to use. You just need to replace sample data with your own data in the accompanying worksheet. The preformatted charts update themselves automatically. It is a useful resource for any business presenter who wants elegantly designed charts without wasting a lot of time constructing them from the scratch. You can find more details at the end of this article. However, when you combine area chart with a simple line chart, you get a clear picture. In the combination area and line chart below, the white drop lines make it even easier to read the data. It is easy to know the months where we exceeded target and the months where we have fallen short. We added a secondary axis to plot cumulative performance values along with the base performance values. 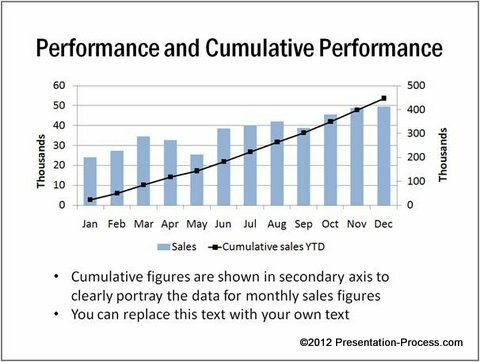 The chart not only helps you see performance values for individual months, but also helps you see the trend in growth. We combined two column chart types to create the above chart. 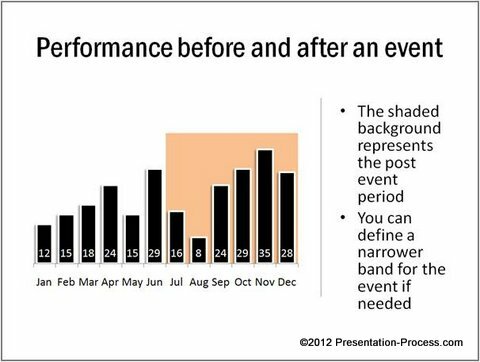 Here, the audience can see the performance before and after a significant event. The kind of results you can achieve by combining chart types is limited only by your imagination. While creating basic charts is easy, it takes a lot of time and effort to create more complex charts. When you want to combine chart types, you need to have a clear understanding of the capabilities of Excel function embedded in PowerPoint. If you are too busy to invest time in exploring all the capabilities of the software, we have an elegant solution for you. 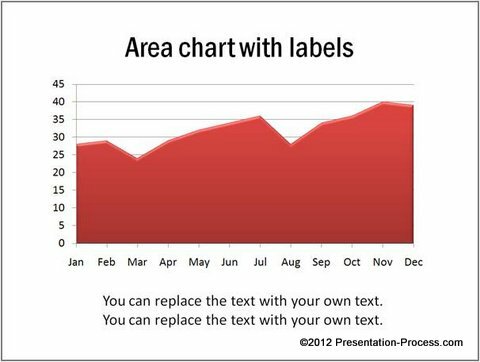 We recommend you take a look at our ‘Visual PowerPoint graphs pack’. To edit the chart, right click on the chart and go to ‘Edit data’. A worksheet opens up. Replace yellow cells with your own data. The chart automatically updates the values. You don’t even have to type in the data. 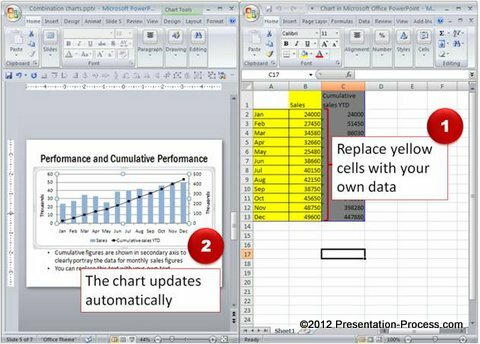 You can copy data from your excel sheet to replace values. 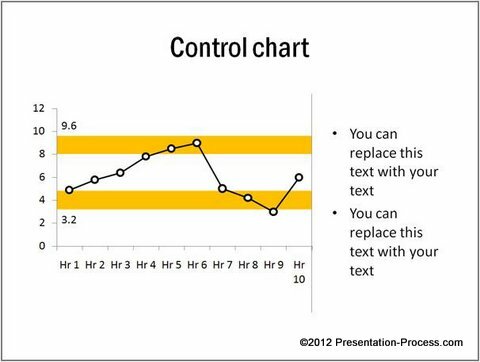 You can’t find any easier way to create insightful charts for your business presentations. So, why waste time creating your charts from the scratch, when you have such a high quality solution available off the shelf? You can find more such insightful articles that provide creative ideas. Do browse through Presentation Process for more.